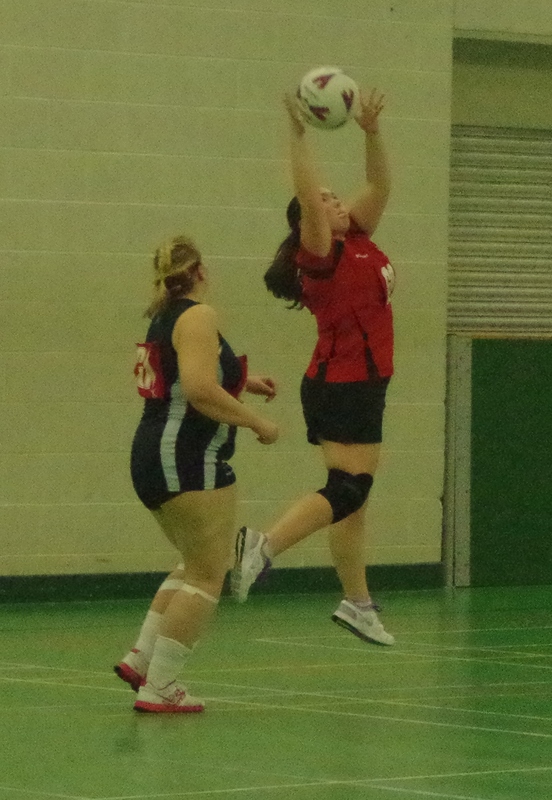 Treasurer of the netball team watches both the Fundraising and Sponsorship Accounts to raise and distribute money according to the teams needs. This involves travel costs, BUCS league costs, Umpire costs, equipment costs etc. It involves telling members clearly who you are so they may approach with any concerns and issues not just money related but anything. This is a very open Committee who encourage team commitment and bonding. There is a focus on supporting not just the committee but the team too. Last year being just a member of the team wasn’t enough. There was a vast need to improve and there was a team of girls already willing to take on the opportunity with a plan of there own. Due to an injury occurring last year to the shoulder meant an unavailability to train and participate in matches therefore an involvement was found by becoming a committee member. Due to the injury it is importance to still be involved in training through coaching and umpiring as well as assisting in events and supporting other committee members with there job roles. 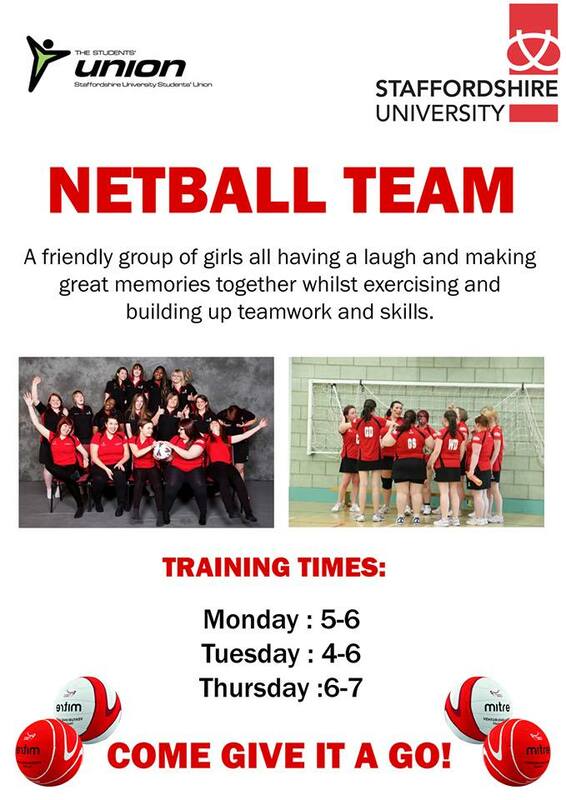 The netball team works in a variety of ways to encourage members to join and then keep them coming back for more as fully paid members who are able to participate in matches and events. Hopefully developing them as the future of the new committee. We advertise to all girls on campus through many devises such as posters. Making them unique and eye catching. We have a number of training opportunities so the girls have more choice. This is also the first year since the team was established that a coach has been secured by this years committee which was a proud moment. 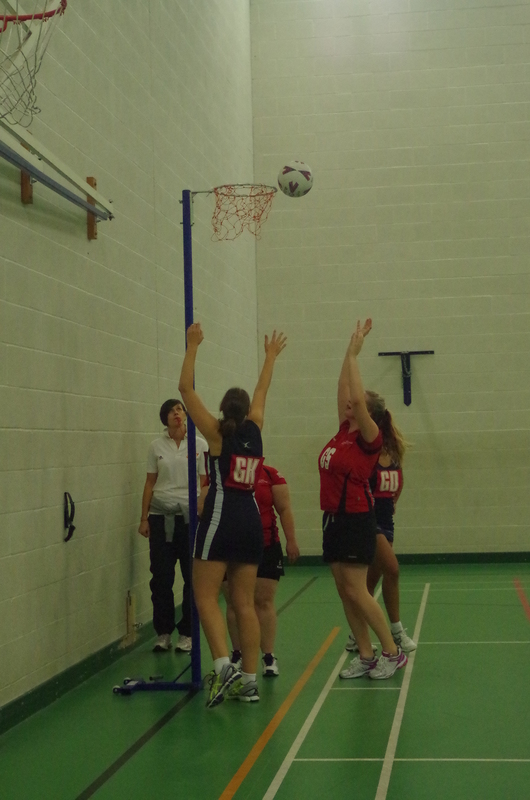 We participate in the BUCS league with a number of fixtures presented throughout the year. These are both home and away so the committee most make there own travel arrangements. Displaying our Stafford red colour proudly ‘GO TEAM SHARKS’. 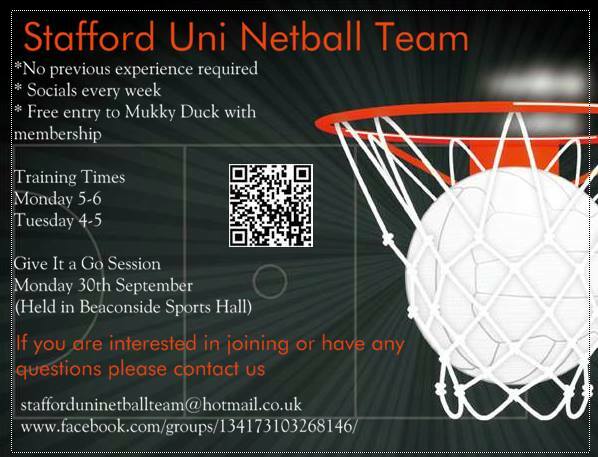 Other opportunities for the girls include socials on Wednesdays and a tour later in the year. These are all bonding methods to create a stronger team. 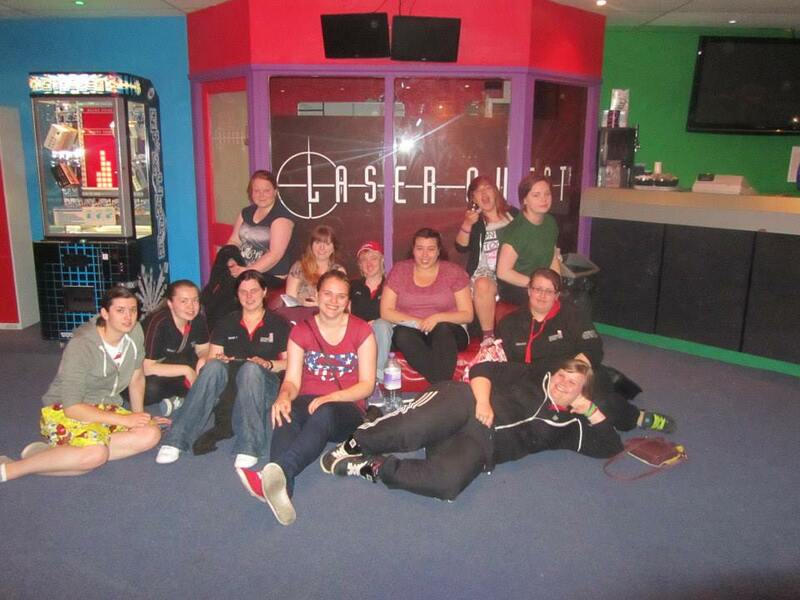 Socials can include chilling in a bar or trips out such as bowling and lazer quest. 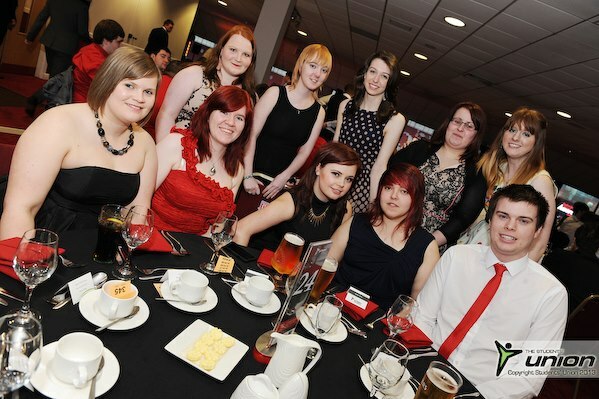 There is also an awards evening for all societies across Stafford and Stoke Campus that is attended every year. This is used to praise the committee members and show other societies the achievements made throughout the year. Celebrated with a meal and award presentation. 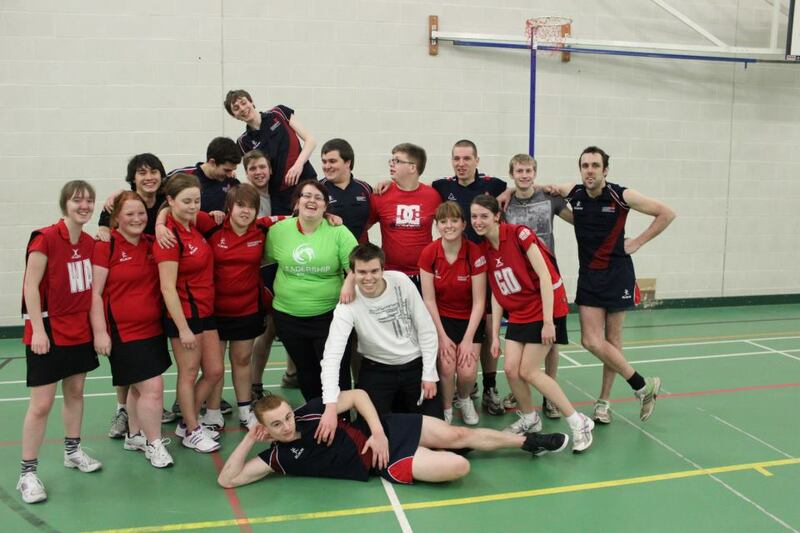 Due to being the treasurer we also hold fundraising events, our most famous is the Rugby v Netball match. Where the Rugby team select members to compete in a netball match against the netball team however both competing teams wear each others kit. Unfortunately the Rugby team hadn’t washed there kit so only the rugby team got skorts. 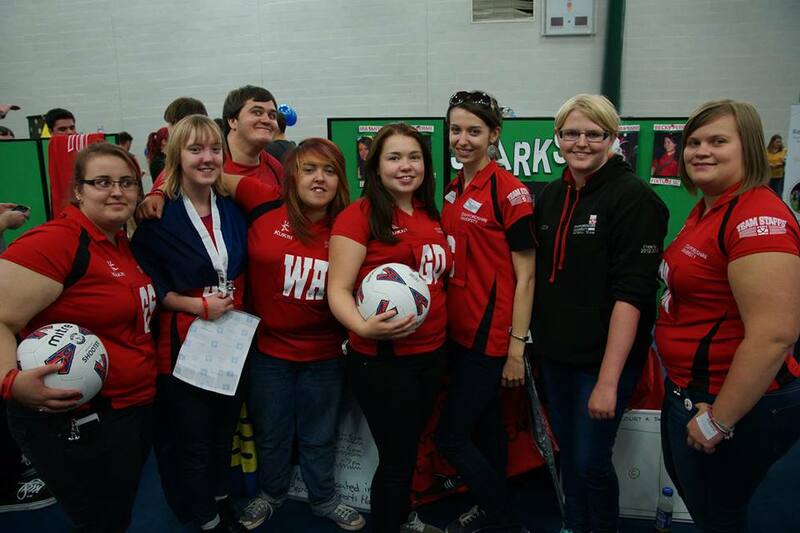 Members of the Committee include: Captain – Mia Smith, Chairwoman – Lizzy Rice, Fixtures Sec – Becky Perry and Keylea Orme has two positions, Captain and Social sec. Also members of the current years team.